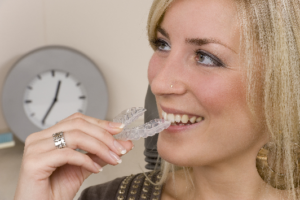 Your Guide To a Great Experience With Invisalign in Medfield! There’s no question that straightening your teeth with Invisalign in Medfield is a wonderful way to get the same great results you would get from braces – without the hassle and inconvenience! Of course, the most obvious advantage is that it’s invisible, but it’s also much more comfortable than wearing brackets and wires and even allows you to eat normally throughout your treatment. Talk about a win-win situation! But even though Invisalign is such an easy alternative to braces, what can you do to get the most from your experience and get the best result possible? Keep reading to find out! Comments Off on Your Guide To a Great Experience With Invisalign in Medfield! Is mouthwash part of your daily routine? Many people rinse for 30 seconds to a minute after they finish brushing and flossing. Mouthwash can be invigorating and leave you feeling like your mouth is clean, fresh, and kissable. But not all mouthwashes are the same. How can you find one that truly benefits your oral health? Your dentist in Medfield is here to provide some handy guidance on this important subject. You know that you need to maintain regular oral care visits, but the mere thought of having dental work done causes you to feel anxious, creating quite the dilemma. How can you overcome this so that you can get the care you need? Your sedation dentist in Medfield weighs in on how you can still receive expert care in a manner that leaves you feeling comfortable. 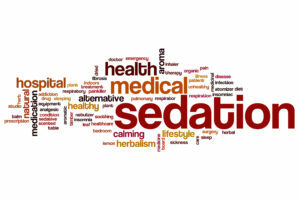 Read on to learn about the value of sedation dentistry. Can Porcelain Veneers Help with Tooth Sensitivity? While the main use of porcelain veneers is to quickly create a flawless smile, they may also help patients who have dental sensitivity. Crafted from high quality, dental grade porcelain, veneers cover the surfaces of teeth creating a gorgeous smile you’ll be proud to share by closing gaps between teeth, concealing stains, and repairing dental wear. 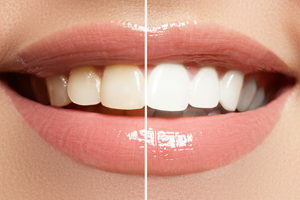 For patients with sensitive teeth, porcelain veneers may also protect smiles from the pain and discomfort that can occur when teeth are exposed to hot or cold temperatures. Keep reading to learn more about tooth sensitivity and how porcelain veneers may be an option to improve both the appearance and function of smiles and decrease dental pain. Comments Off on Can Porcelain Veneers Help with Tooth Sensitivity? It’s been a few months since you had your dental crowns placed. You’ve noticed, with more frequency, that when you bite down on food, there is pain around the area where one of your new crowns sits. This leaves you wondering what you should do about it. Is this normal? Should you just ignore the pain? Your dentist says that whether you’re experiencing discomfort when pressure is applied or there’s a persistent toothache, there are some things that can be done to bring relief. 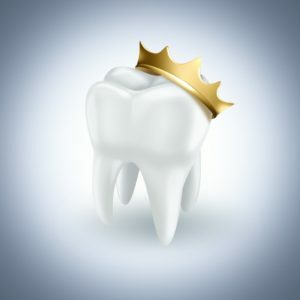 Continue reading to learn what to do in the event that your crown fails, the associated symptoms and when to contact your dentist. Everyone wants to have a straight beautiful smile. Unfortunately, few people have one naturally. If you are among those who suffer from alignment issues, you have probably considered orthodontic treatments in the past; however, you do not want to deal with the visibility and restrictions of metal wires or braces. 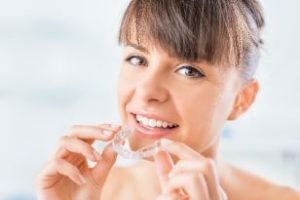 Instead, you have considered using clear aligners from Invisalign, but you have yet to make the investment because they can cost more than traditional options. Although they may be more expensive, they can be more cost-effective long-term, and the benefits are worth the extra money. Looking for High-Quality Care? Meet Your Dentist in Medfield! Welcome to our first post on the Hirshfield Dental Care blog! Our team is incredibly excited to provide the residents of Medfield the best quality dental care possible. By using the latest technology, we can help you reach the smile you desire in a warm and welcoming environment. Whether you’re an individual or an entire family looking for a dental care provider, you can rest easy knowing that your dentist in Medfield has over 30 years of experience in dentistry. To start, let’s go over just a few of the many services Hirshfield Dental Care offers! Comments Off on Looking for High-Quality Care? Meet Your Dentist in Medfield!